Rich emollients and highly effective plant extracts keep skin smooth, moisturized and supple, while defending against harsh environmental elements. 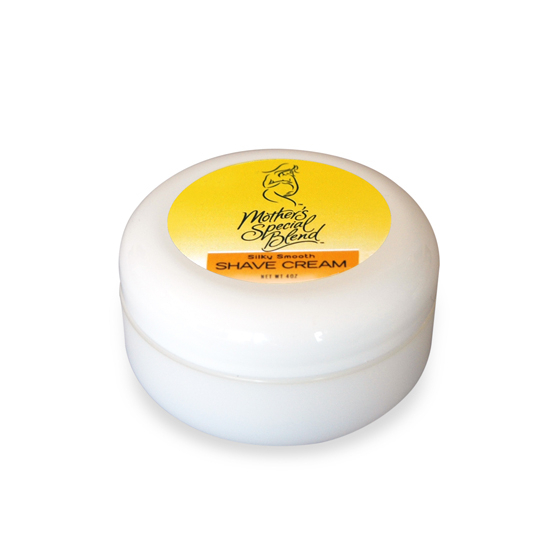 Shea Butter and antioxidants moisturize and keep skin from scaling and flaking. White and green teas protect while aloe vera and botanical extracts calm and heal small nicks. Directions: Massage a generous amount onto wet skin and shave, then rinse. Follow with Out on a Limb Hydrating Cream. Ingredients: Aloe barbadensis leaf juice*, potassium myristate, potassium stearate, sodium myristate, sodium stearate, glycerin, helianthus annuus, (sunflower) seed oil*, butyrospermum parkii (shea butter) fruit*, camellia sinenesis (white tea)*, camellia oleifera (green tea)*, althea officinalis (marshmallow root)*, avena sativa (oat kernel)*, calendula officinalis (calendula) flower*, chamomilla recutita (matricaria )*, lavandula angustifolia (lavender)*, prunus amygdalus dulcis (sweet almond) fruit*, symphytum officinale (comfrey)*, trifolium pratense (clover) extract*, vitamin E acetate, vitamin A palmitate, Vitamin D, vegetable oil, sorbic acid, hydozyethylcellulose.